Fantastic Pest Control offers you a franchise business opportunity with minimum risk of investment. From day one, you will experience our innovative approach to franchising by being introduced to easy-to-use business management software systems and applications, which will allow you to operate your enterprise from anywhere. We will give you the tools to expand and grow your pest control franchise business, build your own team and enjoy the flexibility of creating a weekly schedule that suits your personal circumstances and turnover targets. Become a Fantastic pest control franchise partner in Melbourne, Sydney, Perth or Brisbane! Our pest control franchise package takes care of every aspect of starting and running your own business in this field. You will be able to take advantage of various online and onsite training sessions, improve your sales and cross-selling techniques and learn about the rewarding experience of operating as part of a network of specialists who have the same goals and objectives as you. You will also enjoy immediate business recognition due to the efforts of our talented marketing team. We will supply you with marketing materials and ensure that you benefit from all our ongoing brand awareness campaigns. In addition, you’ll have access to one-to-one coaching sessions with trained and experienced franchise consultants who will guide you every step of the way. The price also includes assistance with insurance, certification and licensing, if needs be, as well as help with getting the right equipment and products. Furthermore, we’ll process job leads for you and fill your schedule with bookings in a personalised fashion to match your availability, location and skills. The company specialises in rodent control (mice and rats), termite treatment, insect extermination, bird control and proofing, as well as possum removal services. And when you invest in our franchise, you will have the option to specialise and provide any of the services from our range, depending on your equipment and qualifications. Read below a more detailed description of our vermin removal solutions. Our rodent control service is popular among both commercial and domestic clients. 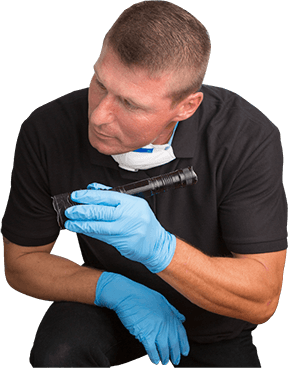 You will need to be experienced, qualified and certified to apply various rat and mice proofing and extermination methods with the clients’ safety in mind. To provide the service, you will need to obtain all relevant licences and insurance documents, too. We specialise in a wide range of insect control solutions, such as wasp, ant, cockroach, flea, dust mites, spider, moth, fly, bed bug extermination services and more. We can provide you with further information on certification and licensing procedures, upon request. We also offer additional training on product usage, practices and service standards. To provide our highly-specialised termite control service, you need to pass the appropriate training and acquire additional certificates. Termite management specialists need to have expertise in baiting, monitoring and treatment application. The service always includes a thorough inspection of the premises. To become a possum catcher, again, you must gain the right qualifications and certifications. The marsupials are protected species, so only registered and licensed pest control technicians can legally execute the possum removal service. Harming the wild animal will result in hefty fines. The company also provides Australians with bird deterrent solutions, designed to prevent flying pests from roosting and damaging their properties. You will need experience, training and general pest control certification to be able to apply specialised bird repellent devices and products. By joining our family of pest control franchisees, you will benefit from secure business development and growth under a recognised brand. You will find that you have more time to focus on improving your service and increasing your turnover because we’ll take care of the advertising and jobs processing side of the business for you. This also means that you will enjoy a rapid return on your investment through our effective marketing strategy and have a guaranteed client base. You may be a certified pest removal expert who wants to part with their unsatisfying 9 to 5 job. Or you are an aspiring entrepreneur who has some on-the-job pest extermination experience. If that’s the case, we can help you develop your business skills, improve your expertise further and obtain (upgrade) all relevant certificates. With us, you will become an independent and proud business owner, yet enjoy the benefits of working as part of the Fantastic community of dedicated professionals. Please, contact us for more details about documents, vehicle and equipment! Let’s join forces & help people live in a pest-free environment! Read about our franchisees’ experience with Fantastic Services. You can grow your cleaning franchise business by delivering excellent housekeeping or by developing a portfolio in specialised services. 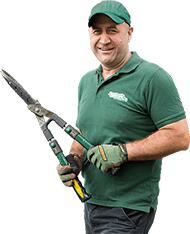 From garden maintenance and lawn care to professional landscaping, the scope for growing a gardening franchise business is truly unlimited. If you are a certified and experienced plumber, carpenter, electrician or handyman and wish to increase securely your income, we want to hear from you. One is for sure, by investing in a waste removal franchise business, you can count on a stable flow of work. Fantastic Pest Control is a successful brand of Fantastic Services Group. The company serves Australian homeowners, tenants and business property proprietors in Melbourne, Sydney, Perth and Brisbane. We offer effective pest relief and management solutions against insects and rodents, as well as professional possum and bird control services. Our proven pest inspection, prevention and proofing expertise are also sought after by customers in the above locations. 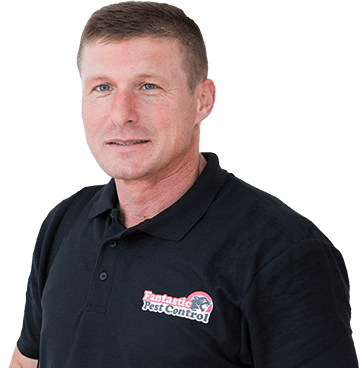 The Fantastic pest control franchise network is a fast-growing community of certified experts who are attracted to the business opportunities we offer in this field. Guaranteed turnover, secure investment, training and support are just some of the benefits our partners enjoy.